Orthodoxy arrived in China in 1685. In the first century-and-a-half of its presence in China, it did not attract a large following. 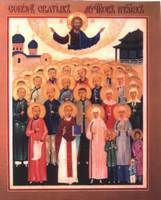 It is said that in 1860 there were not more than 200 Orthodox in Beijing, including the descendants of naturalized Russians. O Christ God, be merciful unto us and save us.